Are you interested in having cleaner and safer air in your home? Ask us about our UV light supply and installation! It's the latest technology on the market, guaranteed to reduce airborne mold, mildew, bacteria and viruses. Ultraviolet technology is a non-chemical approach to disinfection. This simple method of disinfection is inexpensive and requires very low maintenance. We supply and install only the very best UV Light Air Purifiers on the market. Different models are available depending on each individual household’s needs and budget. 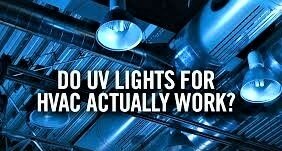 Where our UV lights really shine is in keeping the air in your home clean and healthy. 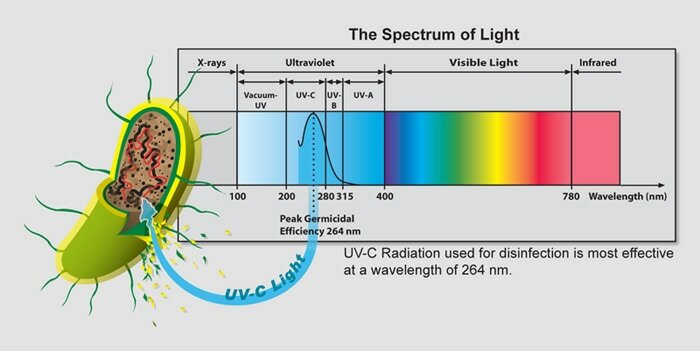 How does UV-C Light Sterilization Work? Ultraviolet light kills microorganisms by damaging their DNA. UV radiation disrupts the chemical bonds that hold the atoms of DNA together in the microorganism. 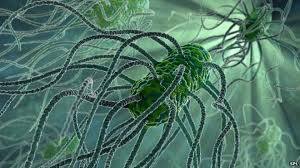 If the damage is severe enough, the bacteria cannot repair the damage and the cells die. 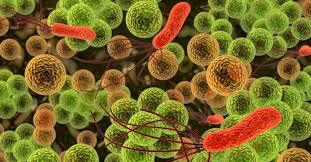 Prolonged exposure to UV light helps ensure complete kill-off of all microorganisms. These two studies point to the effectiveness of UV light in killing mold and bacteria, one in hospitals and the other in a commercial HVAC system. ​Your UV Air Purifier requires little maintenance. 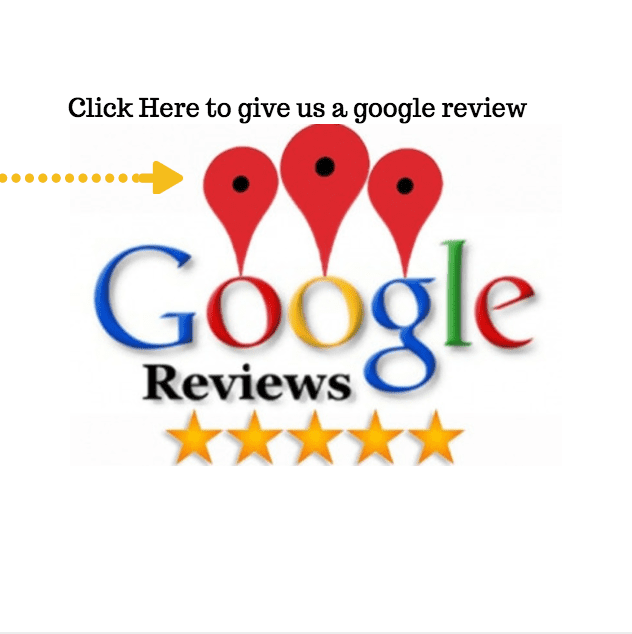 Simply give us a call to supply you with a replacement bulb when the time is ready. Bulbs last approximately 2 years! UV-C sanitizing has been an accepted practice since the mid-20th century. In fact, the 1903 Nobel Prize for Medicine was awarded to Niels Finsen for his use of UV against tuberculosis. It has been used primarily in medical sanitation and sterile work facilities, which means it's perfect for sanitizing your air as well! Water damage, heavy rains, humid weather, and A/C coils are just some of the causes of moisture in a home. 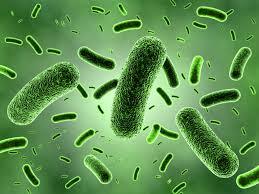 Furnaces create hot air and this warmth allows bacteria to stay alive and reproduce. 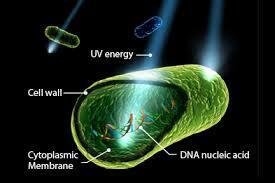 UV-C light penetrates the cell and disrupts the DNA, killing the pathogen. Equally important, our UV-C light does not get hot, so while it is extremely effective at killing germs, it will not damage your furnace. We recommend using UV lights for your HVAC unit to help prevent mold growth in your air ducts or if your family suffers from allergies. 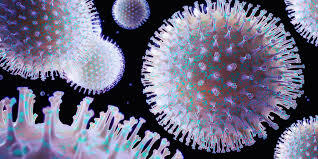 Ultraviolet light can kill microbes in the atmosphere as they pass through your system, improving your indoor air quality. For those suffering from allergies at home, particularly if they live in hot, humid climates, UV lights will provide relief.